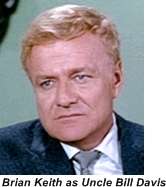 Bill Davis (Brian Keith) was a successful bachelor living in a posh New York penthouse apartment and employing a personal English gentleman’s gentleman. All of a sudden he is asked to take in three orphaned children whose parents were relatives of Davis’s and were killed in an car accident. 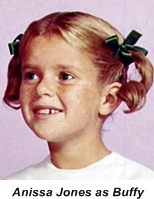 The children were two 6 1/2 year old twins, Jody (Johnny Whitaker) and Buffy (Anissa Jones) and 15 year old Cissy (Kathy Garver). 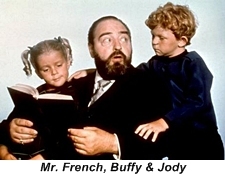 Also a member of the cast was Mrs. Beasley, Buffy’s doll. Davis is referred to as Uncle Bill and when introduced he calls the kids his nieces and nephew although the exact family connection is never identified. Davis and Giles, his valet are of course totally unprepared for raising children but they learn as they go and somehow manage to always make the right decisions concerning the children. 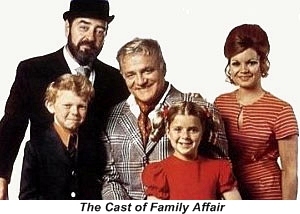 This was a family show and upheld all of the family values of the day. Producer Don Fedderson was also responsible for My Three Sons another 1960s family comedy which coincidently featured a motherless household. 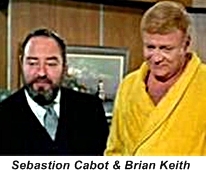 To accommodate Brian Keith’s motion picture schedule his parts in Family Affair were all shot during two 30 day shooting sessions. The rest of the cast would shoot their scenes during the duration of the regular season and it was all pieced together in post-production. In real life Anissa Jones broke her leg during the 1969 season. To explain it on the show the writers had one day to write a script which included young Buffy breaking her leg. 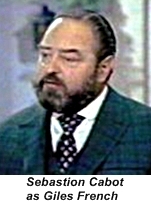 They succeeded and the episode was titled “What’s Funny About A Broken Leg?”.